Do not worry about undergoing dental implants in Massapequa Park as long as the treatment is done by the right dentist who is skilled and train on placing implants. Are you scared of submitting yourself to a dental implant procedure? Well, it does not have to be with a qualified professional who will do the dental implants in Massapequa Park. 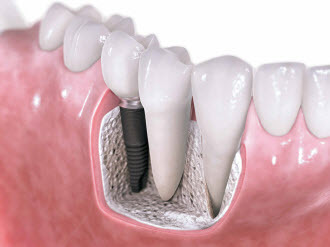 There are several factors that will interplay in the dental implant treatment. 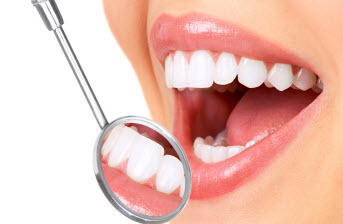 The time needed for the procedure to be completed depends on your current dental health condition as well asthe number and the kind of teeth to be replaced. Whenever there is a need for tooth extraction, time may extend as well to allow healing of the gums. Such conditions can also tell how many times you should visit your doctor for the procedures involved. During the treatment, you may not think about the pain since a local anesthesia will eliminate your discomfort. The insertion of the implant can take an hour or two for every tooth. After this, in order for you not to feel any pain with the dental implant in Massapequa Park, your dentist will prescribe you with pain reliever. Before the insertion of the implant will be done, instructions given by the dentist include rinsing your mouth with an anti-bacterial like chlorhexidine containing mouthwash. You may be also taking antibiotics before the schedule of the surgery. Implanted tooth should be taken cared through regular check-ups. Together with your remaining natural teeth, you have to perform preventive dental care like flossing and brushing and using mouthwash. Seeing your dentist at least once every six months will ensure of a healthy oral health especially now that you have dental implants. You need to be cautious also of possible complications like bone and gum infection, failure of the implant to be attached to the bone due to bone loss. The success or failure of having a dental implant does not just depend on how the gums respond to the implant but also on the way the doctor inserted the implant. The dentist should be knowledgeable and skillful in placing implants. Besides, he must have performed series of check-ups on your dental health condition to determine if the procedure suited you or not. In order to get the services of the best dentist for dental implants in Massapequa, ask your general doctor for referral to a cosmetic dentist or you may refer to your friends who have tried dental implants if they can recommend you to their doctors. Always bear in mind to choose a dentist who is also a cosmetic dentist since for sure, a cosmetic dentist has undergone trainings on dental implants. Call us today for your consultation. 516-781-7567.